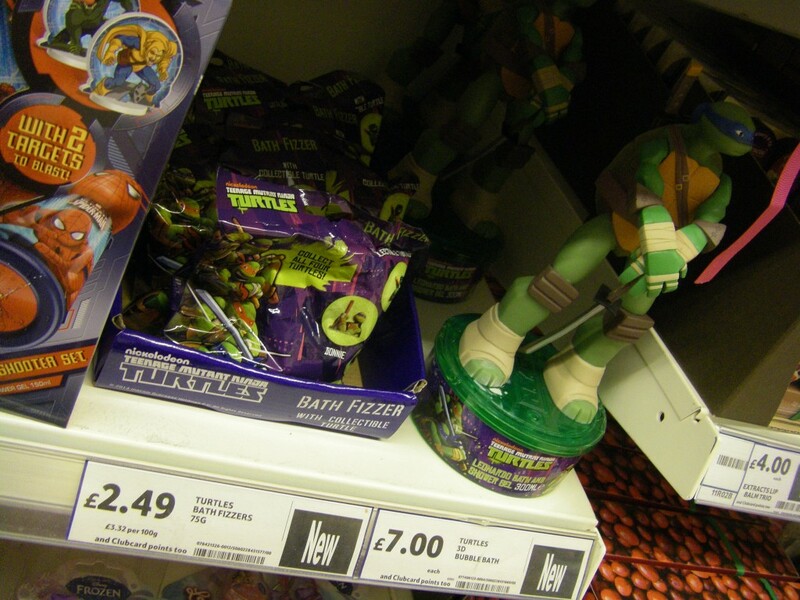 New TMNT bathtime items have surfaced in the UK. The first is a series of ‘bathbombs’ that contain a mystery head and shoulders mini figure, the second is as a Leonardo ‘3D model’ bath gift containing bubble bath. The Leonardo ‘3D Model’ priced at £7 (approx.$11 USD) is good quality and worth keeping beyond its use as a bubble bath container. It also appears to be a Tesco exclusive. Having tried the bath bombs with my baby son, I can confirm that they turn the water bright ‘ooze’ green, but the figure is nothing special and poor quality. Definitely worth buying for its sole purpose alone and for the color change gimmick. The bath bombs are produced by Kokomo Studios who previously produced its own bubblebath in the shape of a Kraang Ooze vail. 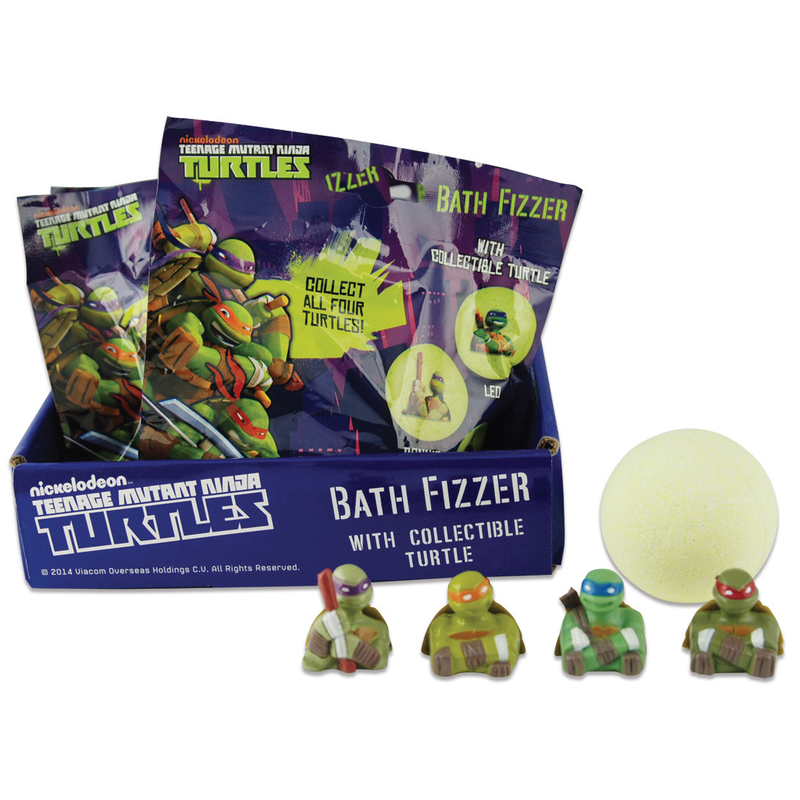 The TMNT brand is continuing to make bath time more fun. 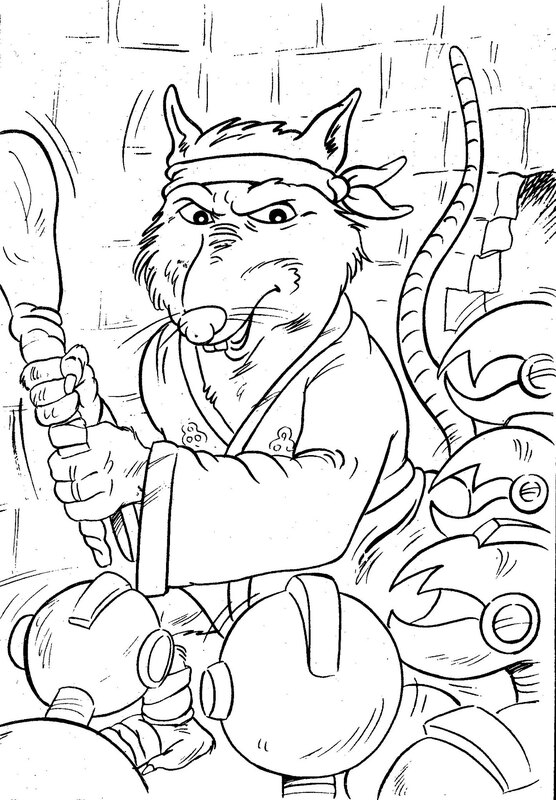 Hopefully someone in the think tank will devise a katana-themed back scrubber! Acquired today from a May pre-order with Hooked on Hallamark . 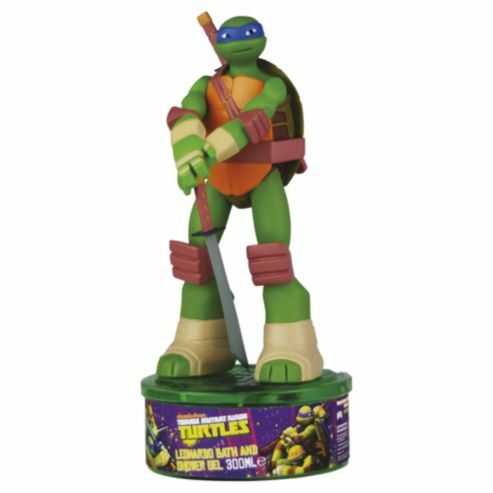 Aside from being a usual dangling tree figurine, this battle-ready Mikey can also pose as a shelf model. As shown in the photos, ornament Mikey is kept company by some of my Christmas edition MOUSERs. Not sure what those are? 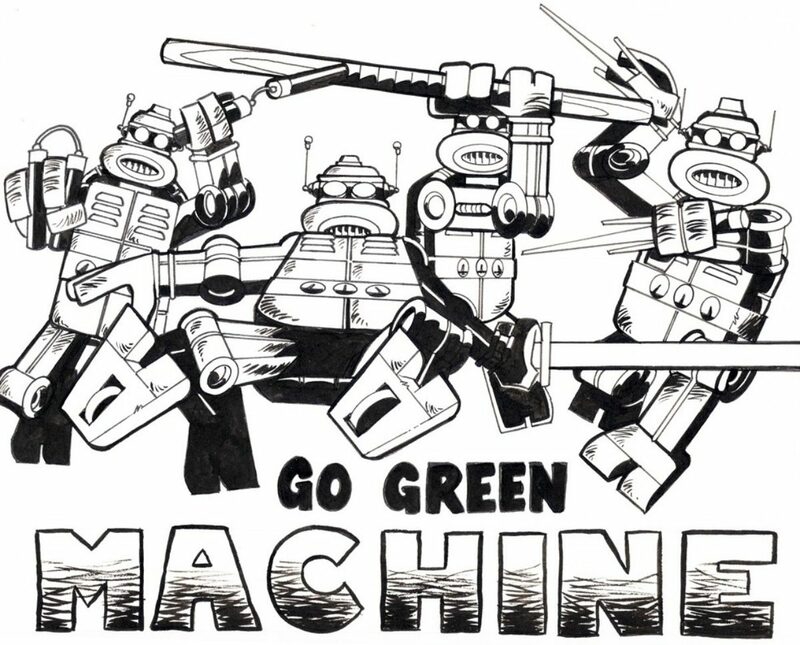 Keep an eye out for future blog-posts regarding this reformed festive army. 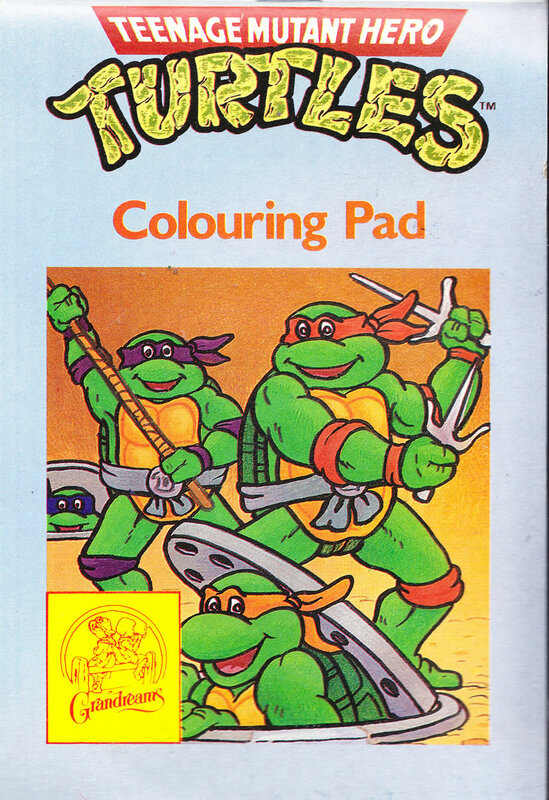 Published by Grandreams between 1990-92 – the UK had a range of ‘Hero’ Turtles coloring books, poster sets and activity books. These were mostly sold in Newsagents and Sweet Shops. 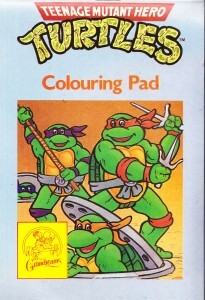 The color-in imagery used within these various stationary books was artwork based on the TV show. 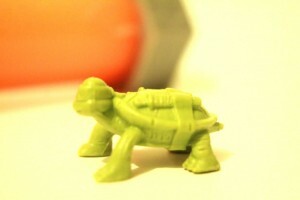 A lot of images were the Turtles and Splinter fighting off Mousers and Foot Soldiers. And like with the current censorship, there was not a nunchuck in sight. No idea who the artist behind these was, but the random pictures were all very well drawn and stood out at the time. 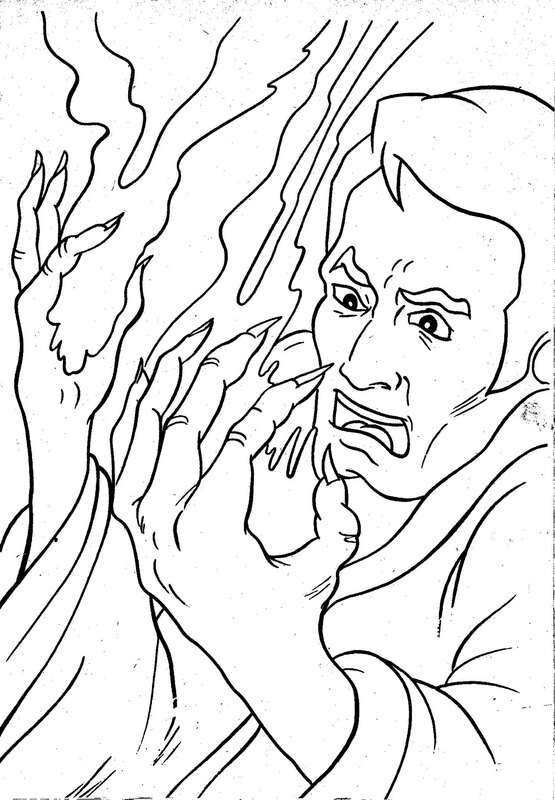 Being a coloring book, the images were easy to trace and make customized pictures from. 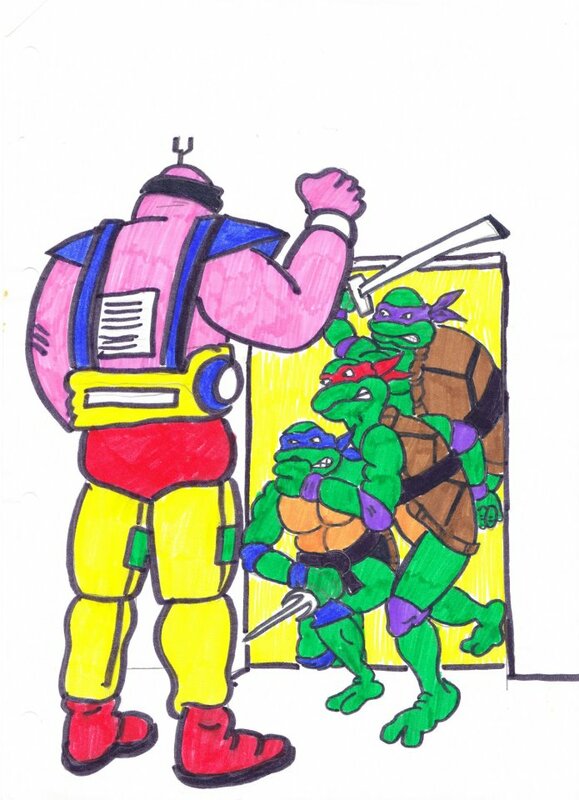 As a kid I never really coloured in any of these and enjoyed copying through on white paper with the help of a desk lamp. 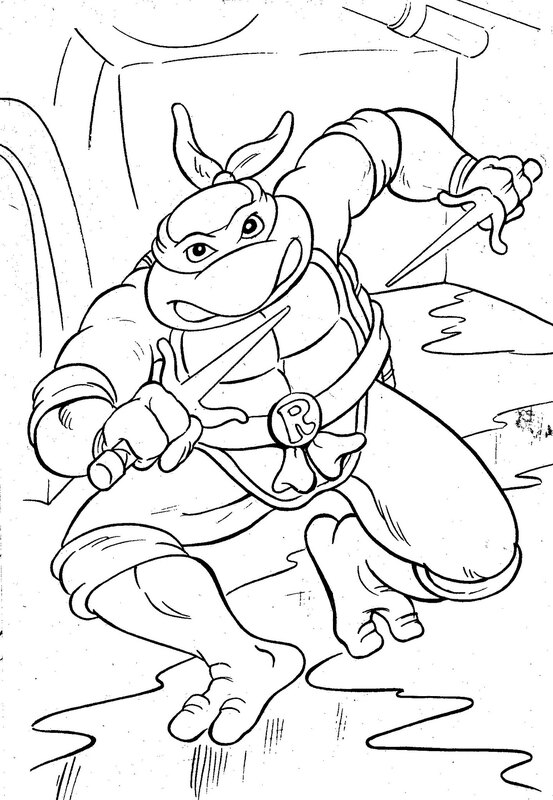 The coloring books also had a nice crisp colorless image of the logo to trace around to use. An improvised method to use as I didn’t have a computer or the world wide web back then. Here are a few scans, and in optionally higher-res for the photoshop generation to have fun with. Click the links to view and download. Have fun! 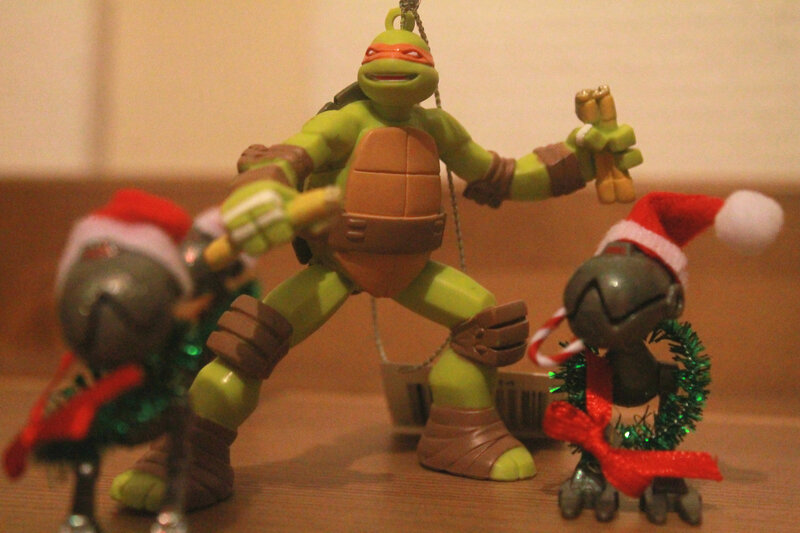 PIC 3 – Don VS Mousers – PIC 4 – Hamato Yoshi mutates. Throw a Shrimp pizza on the barbie! 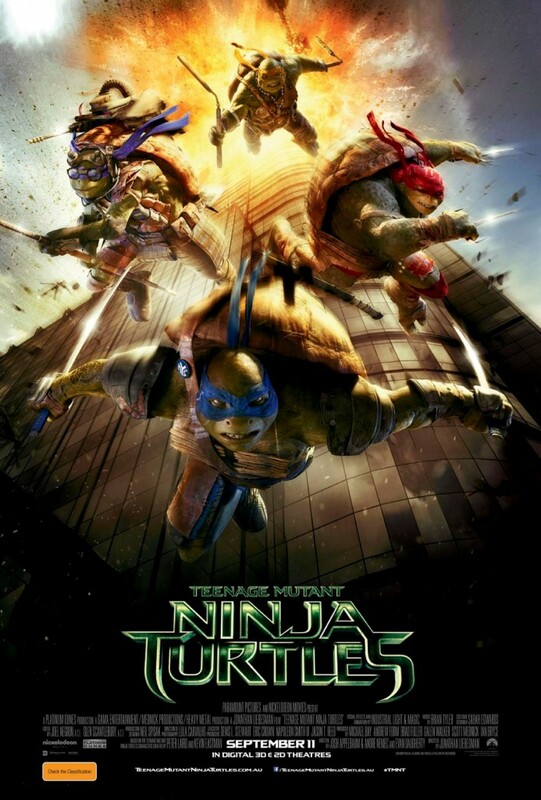 Paramount’s Teenage Mutant Ninja Turtles (2014) is now viewable in the ‘land of Oz’. Australian fans rejoice! 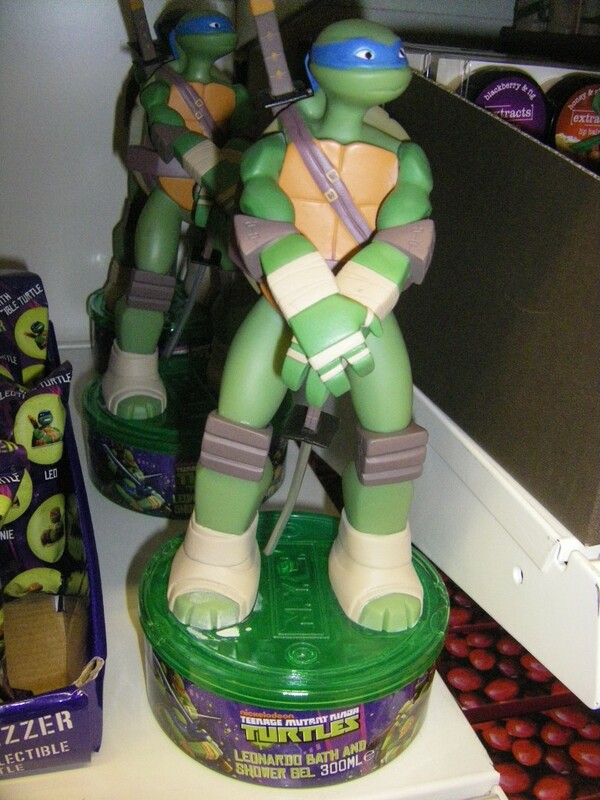 A month has passed since Teenage Mutant Ninja Turtles was released Stateside and people are still talking about it. Regardless of the positive/negative feedback, it is great that the first live-action outing in 2 decades for the TMNT is making a repeat presence in movie theaters. Perhaps that is why the movie didn’t receive a worldwide release. Prior to release, the promotional poster advertising the movie caused quite a stir because of the imagery used coupled with the release date. Of course, September 11th (or culturally abbreviated as 9/11) is a calendar date best known for the World Trade Center tragedy in 2001. Promotional poster originally posted on (now deleted from) Paramount Australia’s Twitter feed. It doesn’t need explaining that the imagery depicting the brothers diving from an exploding hi-rise rooftop struck a nerve with many. Someone in the art department probably ‘didn’t get the memo’ and got ‘pink slipped’ as a result. All in all, the whole setup (even though offense was likely not intended) was in bad taste. Now the movie is finally out in Australia there is still a month to go for the European release (Oct 17th). The worldwide gross by the end of the year stemming from this globally thin-spread launch schedule should prove interesting. On a personal note. 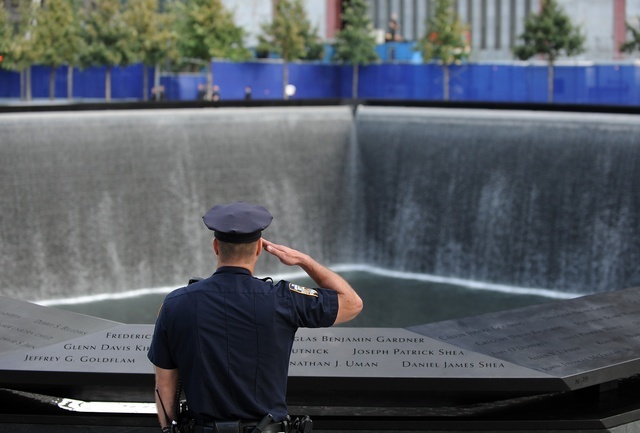 An anniversary day like today is one where I reflect and count the blessings I already have, hug my loved ones a little tighter and spare a thought about those who made sacrifices in what had been a very tragic day in worldwide history. 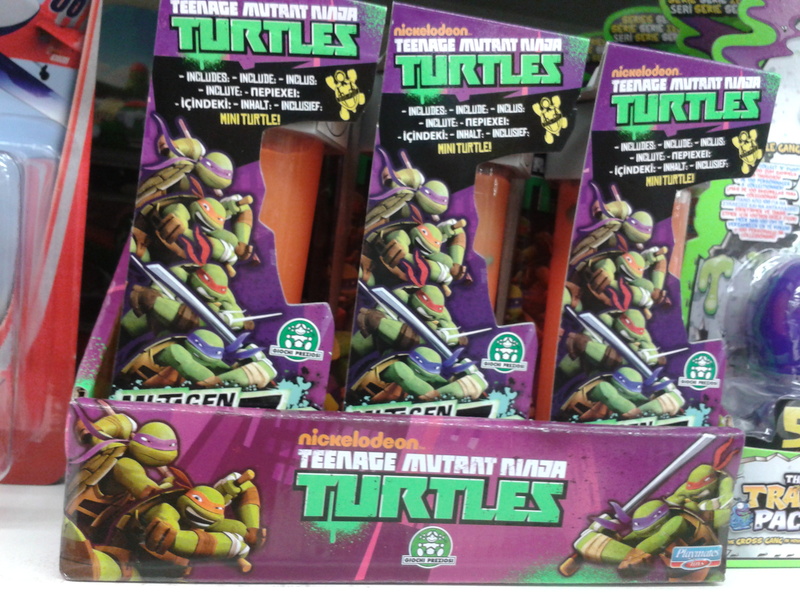 Wave 2 Mutagen Ooze has hit the UK! (sort of). 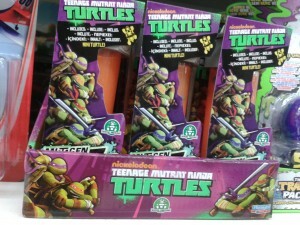 This second wave of all-orange ooze (as a nod to retro mutagen no doubt) has different shade repaints of the mini turtles from wave 1. Unlike the bandana colors of the American release, the mini turtles are still different shades of green. 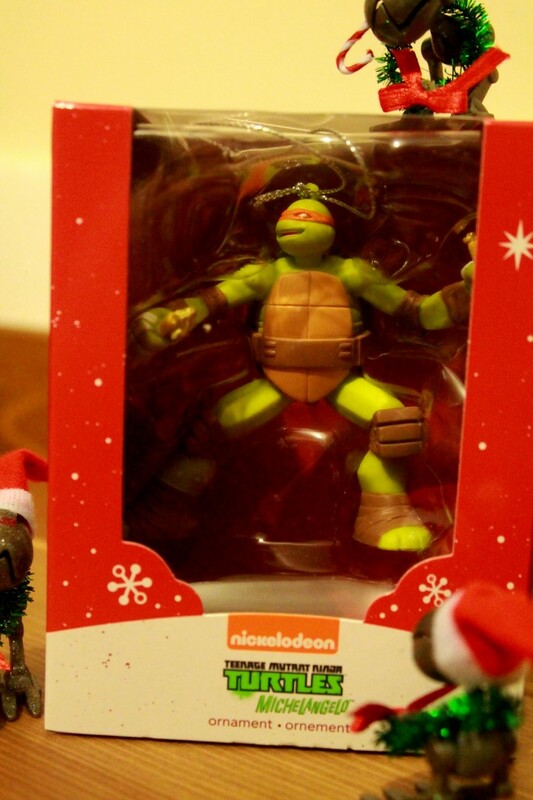 Although, this wave has an exclusive ‘chase figure’ of sorts with a Golden Turtle! 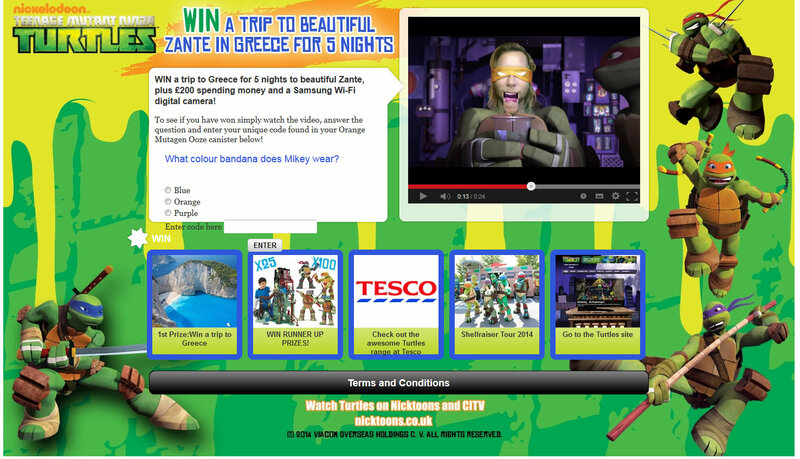 The Golden Turtle is part of a competition and promotion with Nickelodeon UK to win prizes and a vacation to Greece! The orange ooze canisters have only been found in Tesco stores and are likely an exclusive. Punters who don’t find the Golden Turtle can still enter the competition via a promo code that every canister comes with. The promo code with The Golden Turtle is to prove authenticity. Competition closes midnight (GMT) October 31st.